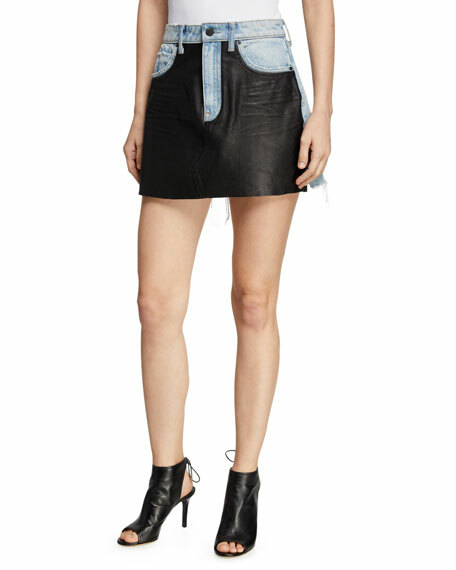 Etoile Isabel Marant "Grittanny" washed leather skirt. For in-store inquiries, use sku #2376586. 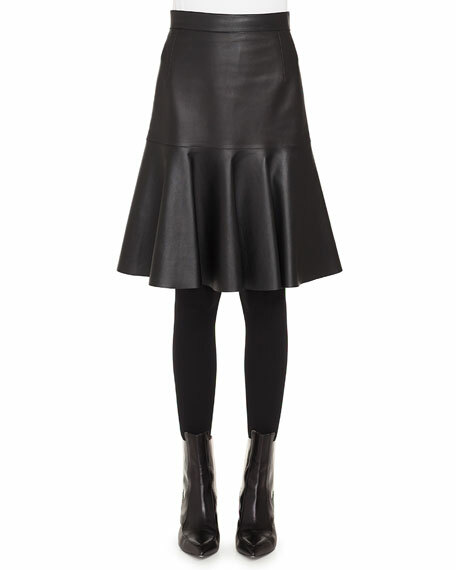 Akris punto skirt in lamb napa leather. Approx. 22.5"L down center back. Sits at natural waist. Bell silhouette. Back zip closure. Ruffled hem. Knee-length. Lining, viscose. Imported. 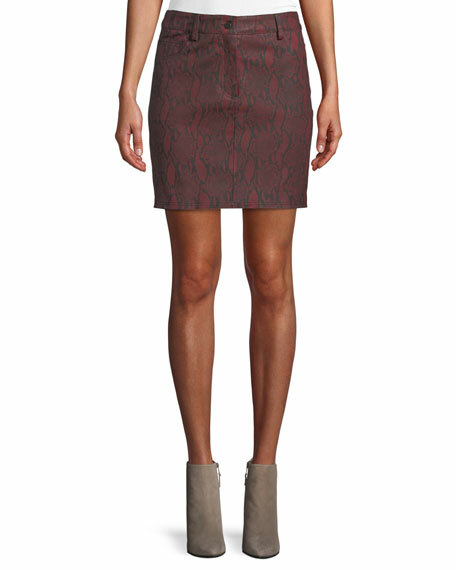 T by Alexander Wang "Bite" skirt with calfskin leather front. Mid-rise; belt loops. Five-pocket style. A-line silhouette. Back logo patch. Mini length. Frayed back hem. Button/zip fly. Cotton; leather combo. Dry clean. Imported.